Lake Zurich, Ill., Jan. 19, 2015 ⎯ Adding to its range of electric radiant-heating solutions, WarmlyYours Radiant Heating will introduce a new line of Ember radiant panels at the upcoming KBIS 2015 show, taking place Jan. 20-22 in Las Vegas. Ember radiant panels use infrared waves, which mimic the rays of the sun, to heat the surfaces of a room instead of the air. Heating the walls, floor and ceiling of a room can then release warmth slowly and evenly into the air. This is accomplished efficiently, because Ember radiant panels have one of the highest possible efficiency rates and consume the least amount of energy possible*. They also have the ability to reduce heating costs by as much as 50 percent*. The launch of Ember radiant panels comes nearly four years after WarmlyYours launched its first line of radiant panels: LAVA®. In comparison with WarmlyYours’ high-end LAVA® radiant panels, the Ember line of radiant panels was developed to be a stylish but more affordable option for homeowners. Ember Glass radiant panels are available in a 600-watt 35- by 24-inch variety as well as an 800-watt 47- by 24-inch variety in black or white. Ember Mirror radiant panels are available in a 600-watt 35- by 24-inch variety with a mirror finish. 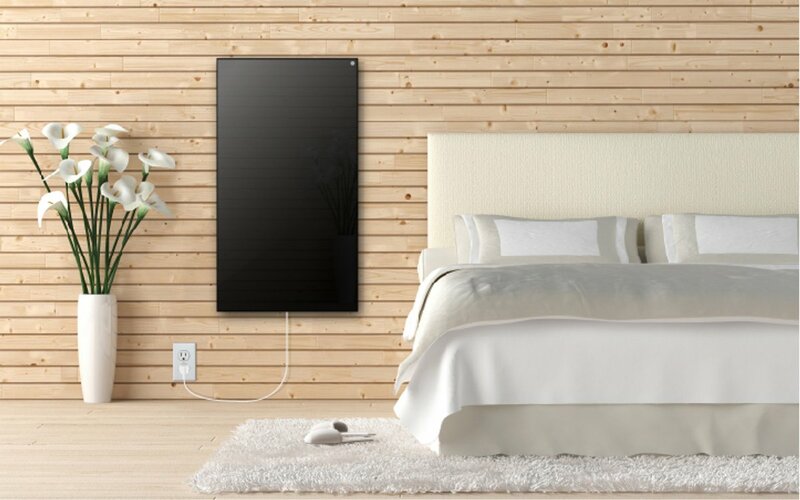 All of these options boast a slim design and can be mounted vertically or horizontally on a wall to add primary or supplementary heat to a room. For those panels mounted vertically, WarmlyYours offers towel bar accessories for added functionality. Ember radiant panels can also be mounted to a ceiling using an additional ceiling mounting kit. Importantly, all Ember radiant panels are safe*, because each one is equipped with several built-in security sensors to protect the panel from overheating.